Articles from the media referencing MMC and its intellectual content. In this February 7 article from Bloomberg, Pat Milligan is quoted regarding Sheryl Sandberg's Davos visit. "From there, she [Sheryl Sandberg] went to Dublin and then Davos, where she atoned again and again. For her peers at the World Economic Forum, the apologies were more than enough. 'There isn't a single organization that I have the honor to work with out there that doesn't still look to her for leadership,' said Patricia Milligan, a senior partner at Mercer, the HR consulting firm." 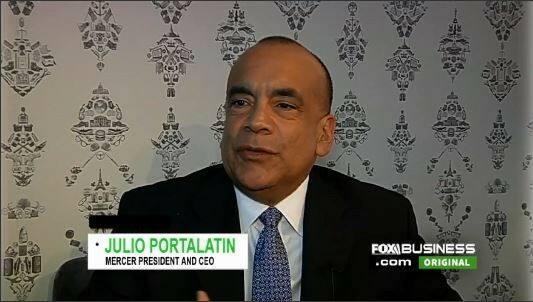 Julio Portalatin offers insights on the changing global economy and the impact artificial intelligence is having on the workforce in this January 30 video interview from Fox Business. "Mercer President Julio Portalatin and Philip Morris International CEO André Calantzopoulos discuss the changing global economy and the impact artificial intelligence is having on the workforce." 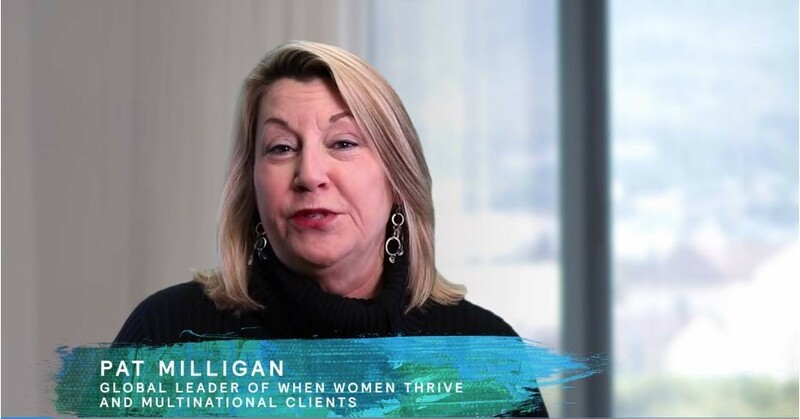 Pat Milligan's comments regarding the #MeToo movement in business are seen in a January 27 article from the New York Times. "Pat Milligan, who leads research on female leadership at the consulting firm Mercer and advises multinational companies on gender and diversity issues, said many of her clients had voiced concerns over saying or doing 'the wrong thing' since #MeToo drew broad international attention. 'A number of men have told me that they will avoid going to dinner with a female mentee, or that they’re concerned about deploying a woman solo on-site with a male,' Ms. Milligan said. 'People are concerned and have questions.'" CNBC released a video interview on January 23 with Dan Glaser, discussing uncertainty in business. 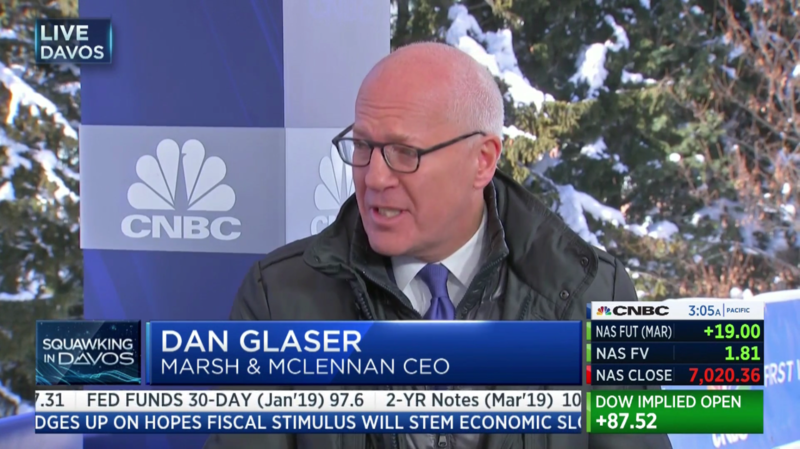 "Dan Glaser, CEO of Marsh and McLennan Companies, sits down with 'Squawk Box' at the World Economic Forum at Davos to discuss corporate uncertainty and global risk." Two partners at Oliver Wyman penned an article for Forbes on January 23 regarding the connection between urban growth and mobility innovation. "How well cities can cope with this coming mobility revolution will be critical to their ability to grow and attract businesses and talent. 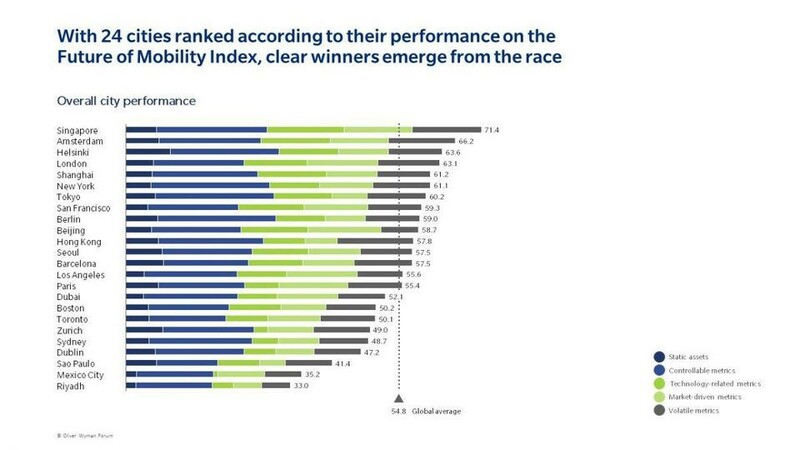 To help cities evaluate how prepared they are to nurture the new mobility and use it to their economic advantage, the Oliver Wyman Forum is developing the Future Mobility Competitiveness Index (FMCI), a predictive metric of a city’s ability to compete and distinguish itself using the new technologies in a seamless, integrated network. The Forum is conducting its research with Alexandre Bayen, the director of the Institute of Transportation Studies at the University of California at Berkeley." 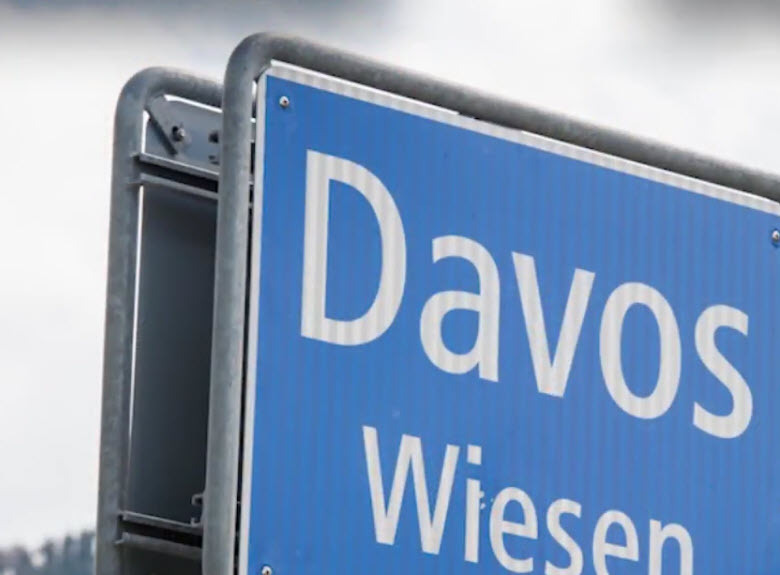 The Financial Brand published an article on January 23, outlining the 'greenfield concept' described in Oliver Wymans 2019 State of the Financial Services report. "In the report, 'Time To Start Again: 2019 State of Financial Services' published by Oliver Wyman, there is the recommendation that current financial institutions should start with a blank canvas. The combination of the old and new is referred to as a 'greenfield concept.' The concept would free financial services firms from legacy infrastructure enabling firms to leverage 'new technology, entirely new organizations, and complete customer-centricity,' states the report."